This week we’re shining our customer spotlight on Estafeta USA, a fully integrated logistics solution that helps companies and consumers in Mexico deliver goods and products to the U.S.
We recently had the chance to talk with Estafeta USA CEO Christian Bruns about how the business was founded and the obstacles it overcame. As a plus, he left us with a few tidbits of advice for international shipping. Endicia: Can you give us a brief overview of Estafeta USA? What exactly do you do and what has attributed to your success? 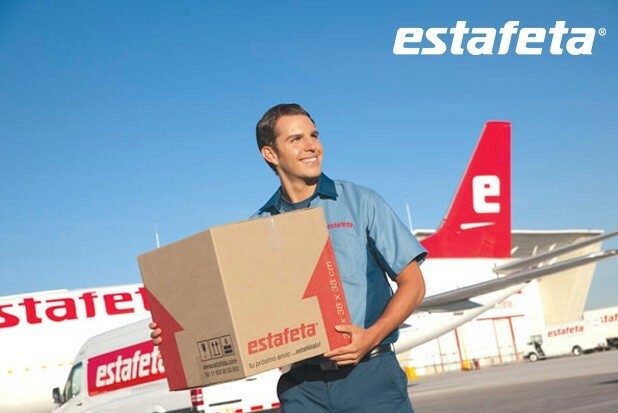 CB: Estafeta Mexicana was established in 1979 and was the first private courier company to introduce door-to-door shipping services in Mexico. We developed a network of ground distribution routes across Mexico, eventually launching our global parcel delivery service to help Mexican customers send goods and receive packages internationally. In 1998 we expanded to the United States by opening a warehouse in Texas and teaming up with various U.S. regional carriers. However, we quickly realized that the regional carriers couldn’t reach many remote locations of the U.S., so that’s when we decided to team up with the U.S. Postal Service® to make sure we could deliver throughout the U.S. In 2004 we started using Endicia to print USPS domestic labels for individual shipments in Mexico. Now, our packages destined for U.S. residents go through customs and then enter the U.S. mail stream in Texas. I think we’ve been successful because we first established deep roots in Mexico before we chose to expand our business internationally. We solidified our expertise in our industry, figuring out what worked and what didn’t, before we took that next step. Endicia: What are some of the biggest obstacles you encounter when dealing with packages crossing the border on a daily basis? CB: Every package that goes either from Mexico to the U.S. or the U.S. to Mexico must travel through customs. Unfortunately, people still try to send various items that the governments are not too happy about. This means that every package has to be checked thoroughly before it goes through customs. Most envelopes can be checked pretty easily — I would say about 95 percent — but every boxed package has to be opened by an individual employee. I don’t know if I would consider this an obstacle since we have it down to such a science, but it’s definitely time-consuming work that can’t really be automated by machines. So if you are shipping items across borders, it helps speed up the process if you ensure that you’re abiding by customs regulations. Endicia: Is there a time when your company experiences a sudden increase in demand, such as a holiday season? CB: Absolutely. Valentine’s Day is actually one of our busiest times of year for both northbound and southbound shipments. Mother’s Day and the holiday season are also busy. We see a lot of shipments of gifts and photos, since many husbands are located in the U.S. while their families remain back in Mexico. We’re glad that we, along with the USPS and Endicia, can help play a part in getting these sentimental items to their intended recipients. For more inspiring customer and small business success stories, check out our Online Business Success Stories page.